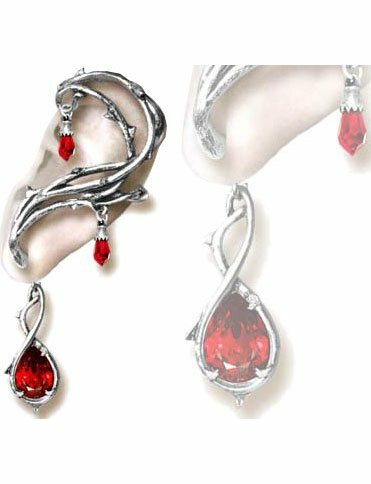 A cuff of thorns with weeping tears of Swarovski blood entangles the ear. The Passion earring cuff is beautiful and stunning. 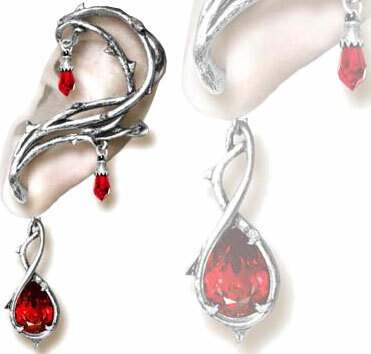 Made of English pewter with red crystal and imported from the UK. This cuff can be worn on the left ear.